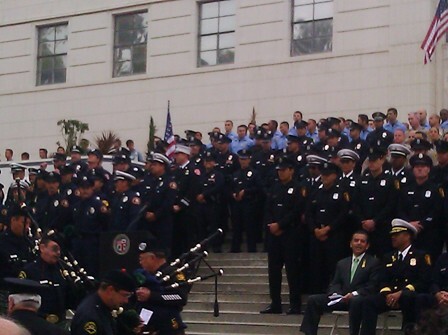 Last night, hundreds of Angelenos attended our city's El Grito festivities on Olvera Street. 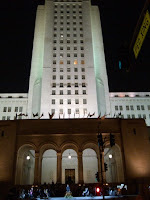 El Grito celebrates Mexico's independence and is not only part of Mexico's history, but a part of Los Angeles's cultural heritage. 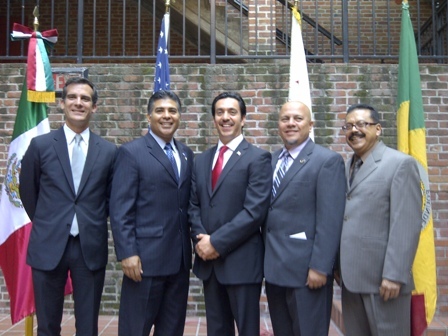 I'd like to thank Consul General of Mexico David Figueroa Ortega and Jose Duarte, President of the Comite Civico Patriotico, for joining us. 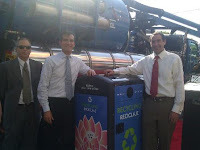 Celebrating the New Echo Park Solar "BigBelly"
Today we installed a solar-powered “BigBelly” trash can on the corner of Echo Park and Sunset Boulevard. Because it has a built in compactor, the BigBelly unit can hold four times as much trash as the average trash can making it more cost-effective and more environmentally- friendly than traditional trash disposal options. 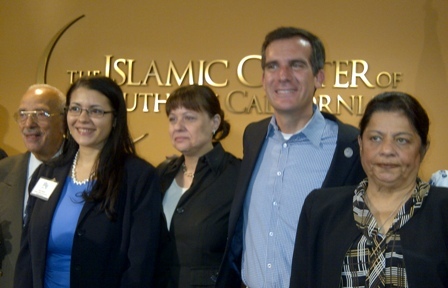 The BigBelly unit, which was funded through city grants, will help prevent overflow trash from ending up in storm drains and in places like Echo Park. 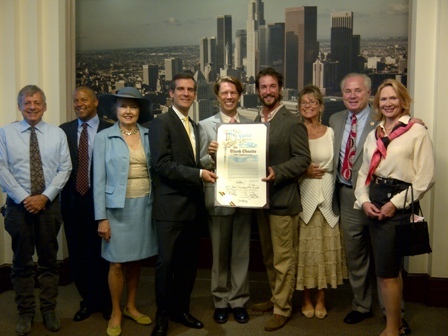 Thank you to everyone who helped make the BigBelly installation possible, including the Trash Abatement Project. Over the weekend, I attended the First AME Church and Economic Development Corporations' 7th Annual Back to School Giveaway and Health Fair. 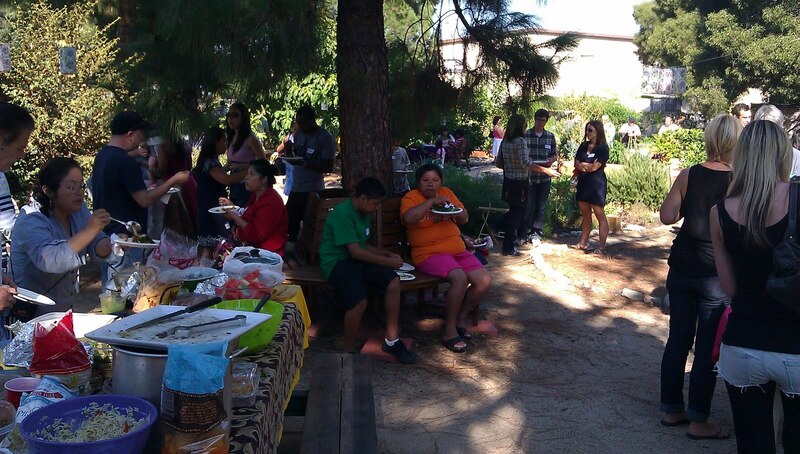 Families from around Los Angeles enjoyed free health care screenings, food, and entertainment hosted by Power 106 FM. 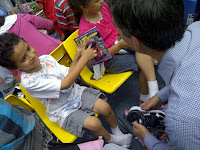 Kids were also eligible to receive a free pair of shoes, backpack and school supplies to help get them off to a successful new school year. Silver Lake community members are encouraged to attend a meeting to get updated on the West Silver Lake Drive Bypass Line. The meeting will cover topics ranging from the line and site location for the construction tunnel, temporary walking path, and all impacts in and around the knoll area. The meeting will take place on Wednesday September 21. Community members will meet at the Silver Lake Recreation Center (1850 W. Silver Lake Drive) at 6:30 p.m. to walk the construction site. A formal meeting will be held at the Recreation Center at 7 p.m. Please contact Silver Lake Field Deputy Ryan Carpio at (323) 957-4500 for more information. 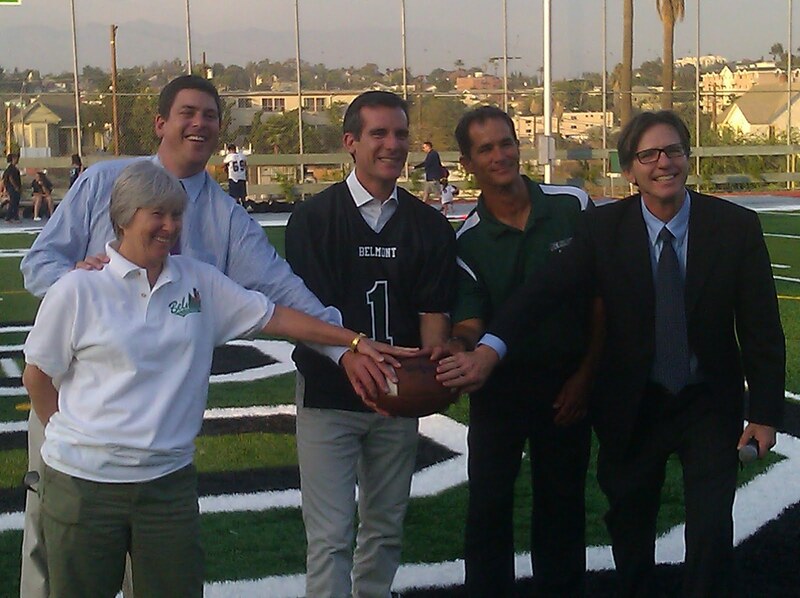 On Friday night, I attended the dedication of the new Belmont High School Athletic Field, which my office helped get built with Proposition K and Community Development Block Grant funding. Playing team sports can have a huge positive impact on kids’ lives, and I am thrilled that Belmont now has a wonderful new field for its students. All are invited to the LA Equine Advisory Committee meeting on Monday, September 26, at 6:30 p.m. at Friendship Auditorium (3201 Riverside Drive). The meeting will include a presentation by the Trust for Public Land on "Acquisition of Park Lands for Local Hikers and Equestrians." For more information, please contact Lynn Brown at akalynnbrown@aol.com. Looking for a job? 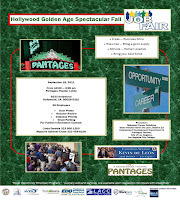 The Hollywood Golden Age Spectacular Job Fair will feature more than 40 employees looking to hire. Participants are encouraged to dress in business attire and bring resumes. The event will be held on Thursday, September 15, from 10 a.m. to 3 p.m. in the Pantages Theater Lobby (6233 Hollywood Blvd). 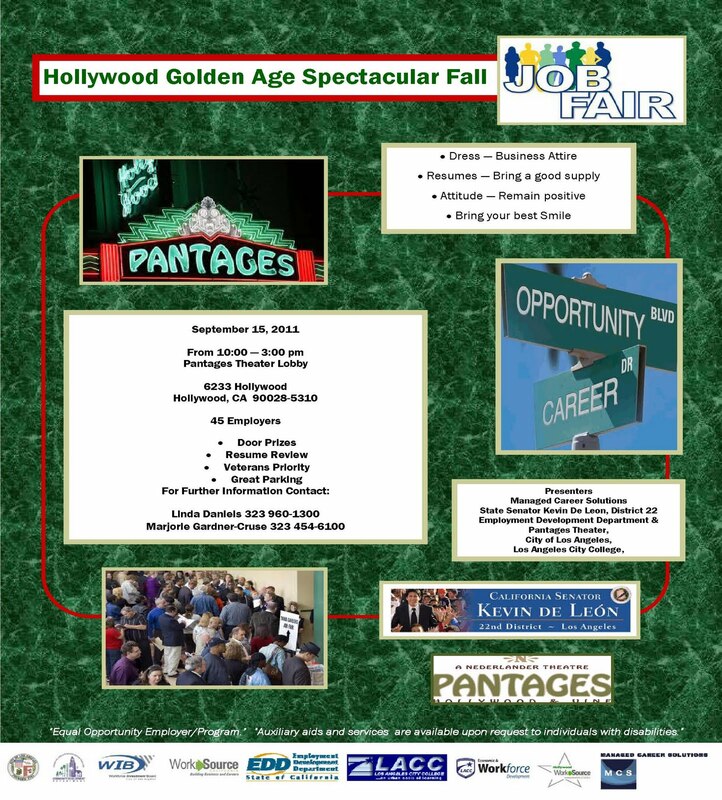 The job fair is being presented by the City of Los Angeles, Managed Career Solutions, State Senator Kevin DeLeon, the Employment Development Department, Pantages Theater, and Los Angeles City College. 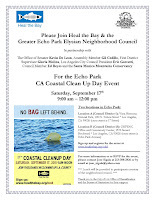 For more information, please contact Linda Daniels at 323/960-1300 or Marjorie Gardner-Cruse at 323-454-6100. The Elysian Valley Arts Collective is coordinating a neighborhood youth art show in conjunction with the Frogtown Artwalk on September 24. 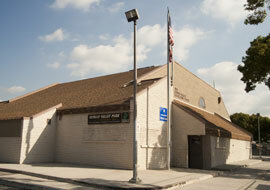 The show is being made possible through a grant from the Elysian Valley Neighborhood Council. The EV Arts Collective will award youth art work in various age categories. Prizes include gift certificates for school and/or art supplies and cash awards. 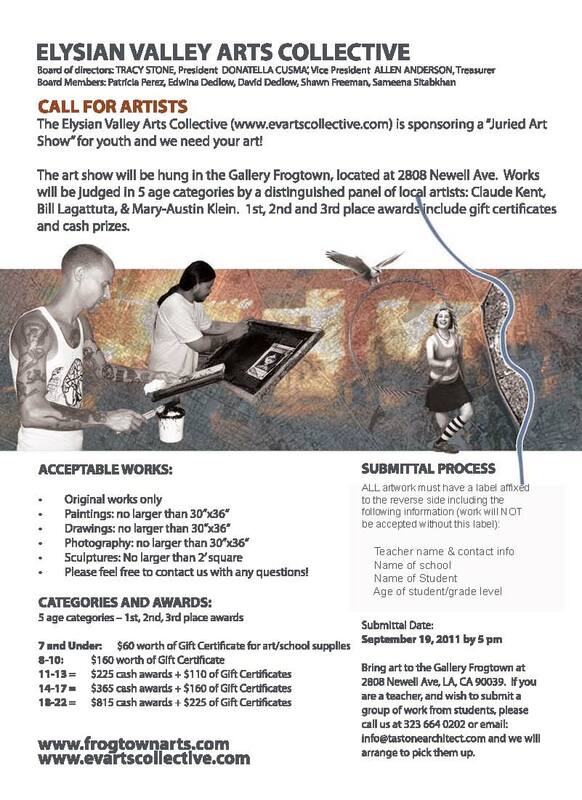 Work must be submitted by September 19 to the Gallery Frogtown at 2808 Newell Ave in Elysian Valley. Artwork will be judged on September 23, and the awards will be presented from 2 p.m. to 4 p.m. on September 24 just prior to the Frogtown Artwalk. 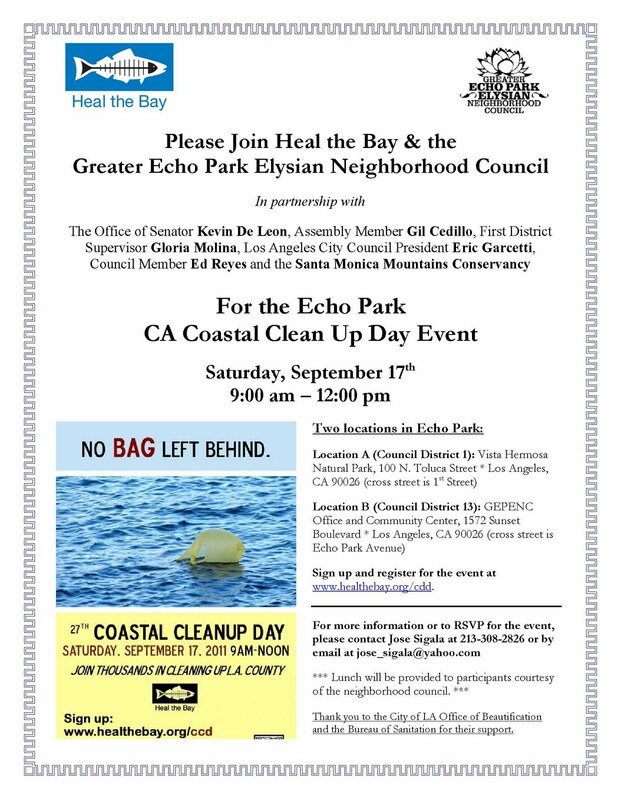 Please join the Greater Echo Park Elysian Neighborhood Council on Saturday, September 17, for the Echo Park California Coastal Clean-Up Day. The Neighborhood Council will provide lunch to event participants at these locations. Come to the Elysian Valley community yard sale on Saturday, September 17, from 9 a.m. to 3 p.m. at the Elysian Valley Recreation Center (1811 Ripple St.). Elysian Valley residents will be selling a variety of items including toys, books, clothes, bicycles, and tools. Residents who are interested in having a booth to sell items at this event can contact the Rec Center at 323-666-5058 to ask for an application. The booth fee is $15. The Silver Lake-based Pay It Forward volunteer band is seeking musicians to perform at nursing homes throughout Los Angeles this Saturday, September 10, in honor of National Grandparents Day. More than 100 Pay It Forward members -- including professional musicians, students, and amateurs -- volunteer time to play music as part of smaller ensembles. They typically perform jazz or nostalgic music for seniors living in nursing facilities. If you are interested in participating, please contact band director Gary Gamponia at 213/388-8500. 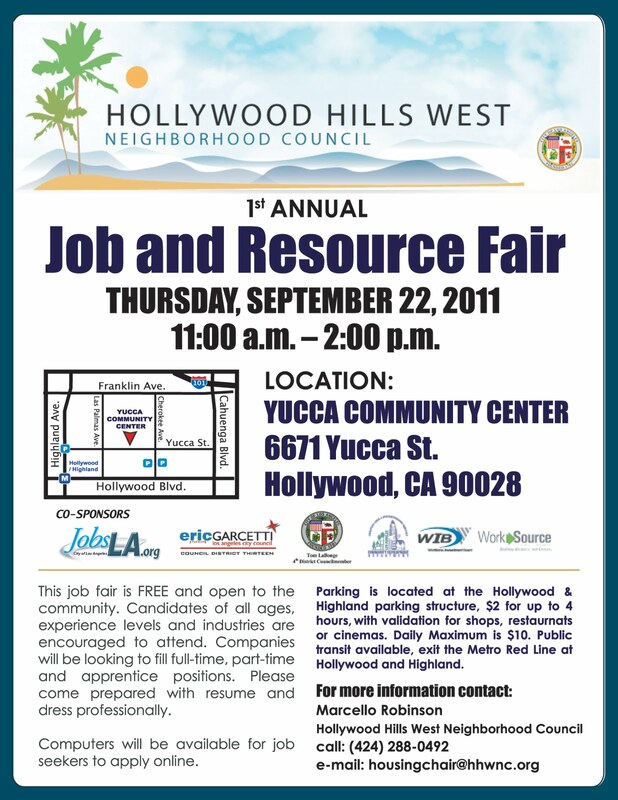 The Hollywood Hills West Neighborhood Council will host a free community job and resource fair on Thursday, September 22, from 11 a.m. to 2 p.m. 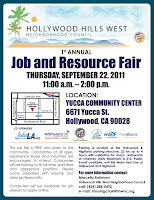 The event will take place at the Yucca Community Center (6671 Yucca Street) in Hollywood. 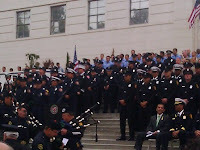 Candidates of all ages, experience levels and industries are encouraged to attend. Companies will be looking to fill full-time and part-time positions. Participants should bring resumes and dress professionally. 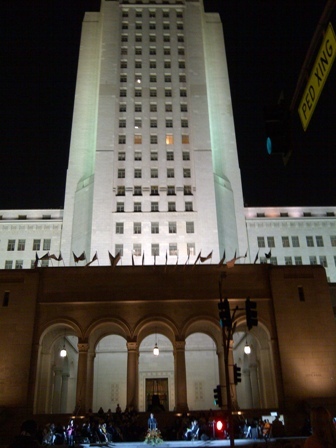 This morning the City Council passed two resolutions by Councilmember Richard Alarcon that put Los Angeles officially on record in support of two pieces of state legislation related to Filipino veterans. 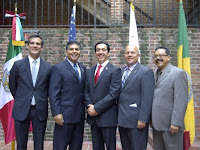 Assembly Joint Resolution 6 supports H.R. 210 - the Filipino Veterans Fairness Act of 2011, which would provide the benefits that were promised to Filipino veterans who fought alongside American soldiers during World War II. Assembly Bill 199 would encourage teachers in the Los Angeles Unified School District to include the history of Filipino veterans in World War II as part of social science lesson plans. 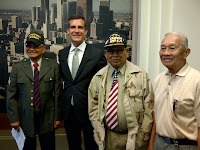 We must make sure our courageous Filipino veterans and their families get the benefits they were promised and earned. And we must teach the next generations about this important part of our American history so that their story is never forgotten. 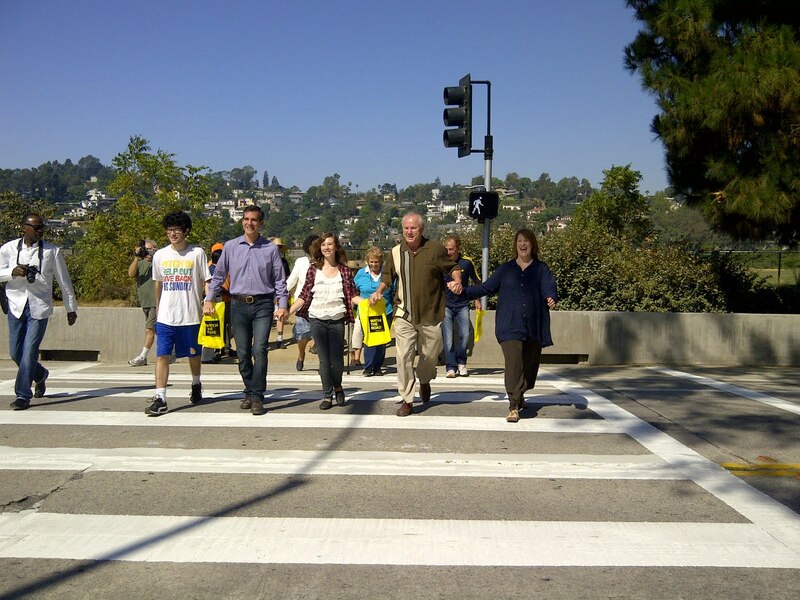 Thank you to members of the Silver Lake community who joined me and Councilmember LaBonge during the Labor Day weekend to activate the new stoplight on the 2300 block of Silver Lake Boulevard. The new light will make it safer and easier for pedestrians to access the Silver Lake Meadow and the jogging/walking path around the reservoir. 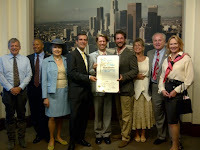 Thank you to PAVA volunteers for cleaning up Hollywood! 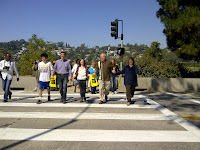 Thank you to the hundreds of young people who volunteered their time to help clean up Hollywood last weekend. Volunteers from the Pacific American Volunteer Association (PAVA) picked up trash around Hollywood, Thai Town, and Little Armenia. My office was proud to partner with PAVA on this clean-up day.